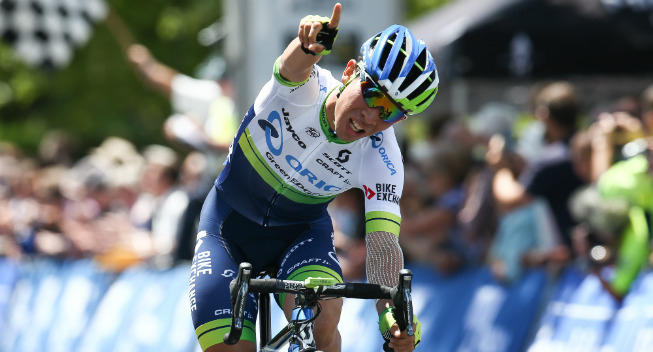 Caleb Ewan was unable to start the year with a victory. The 22-year-old sprinter seemed on his way to the flowers, but a big crash in the last corner decided otherwise. Instead, the victory went to the Briton Ian Bibby. It is becoming a tradition that the new year starts in Australia with the Mitchelton Bay Classic Series which has been reduced to three races in 2017. It is also a tradition that most of the races are won by Caleb Ewan. In 2012 the then only 17-year-old Australian won twice. In total, he has won eight stages and taking the overall win three times. Also this year, the red carpet was rolled out for the man from Sydney. But in the last corner, things went wrong. Nearly the whole peloton hit the ground. Ian Bibby (JLT Condor) could escape the crash and claimed the victory after Orica-Scott had worked hard all day to bring back lone escapee Cameron Bayly. The race continues on Monday and Tuesday before the Australian National Championships kick off with the criteriums in Wednesday. 1. Ian Bibby (GBR) 58'31 "
3. Mathew Gibson (GBR) 2"
17. Caleb Ewan (Aus) 51 "